They had a large variety of coloring books to choose from but I chose the books I wanted based on the gift ideas I had in mind. 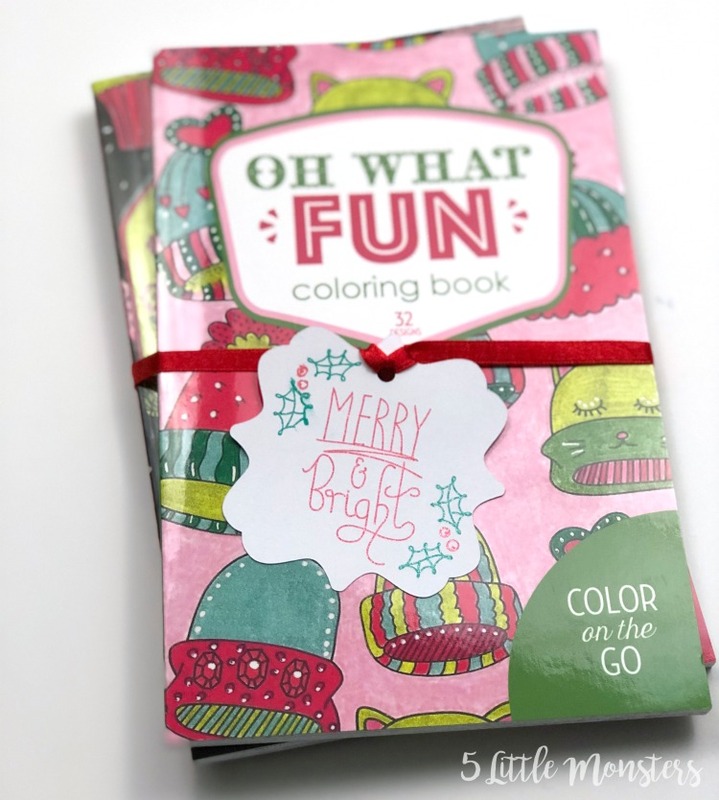 First I chose some Christmas themed books from the Coloring on the Go series. 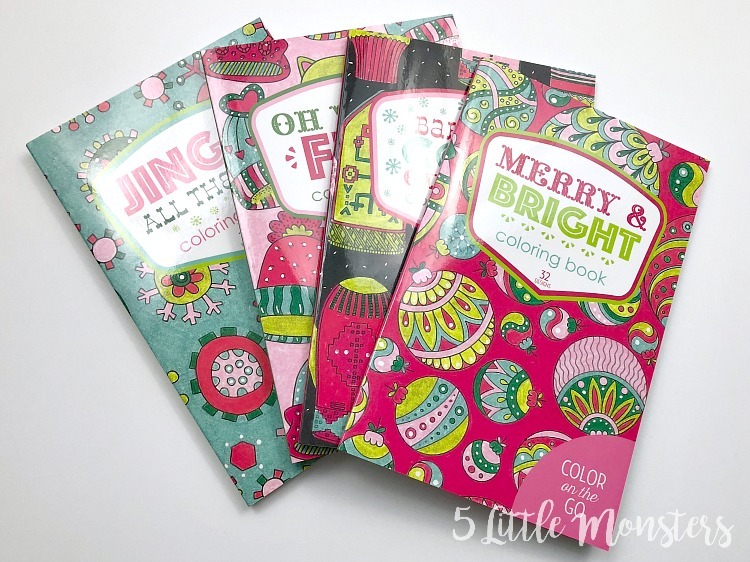 These are small coloring books that come in lots of different holiday and other themes. Since Christmas is right around the corner I chose the Christmas ones. 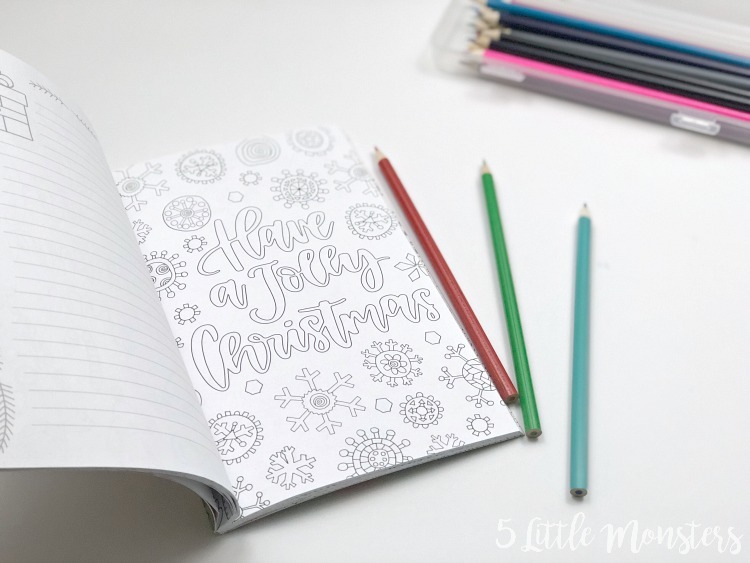 I thought they would make cute little Christmas gifts for anyone who likes to color. You could give them to friends or neighbors, adults or kids. They would even make cute stocking stuffers. 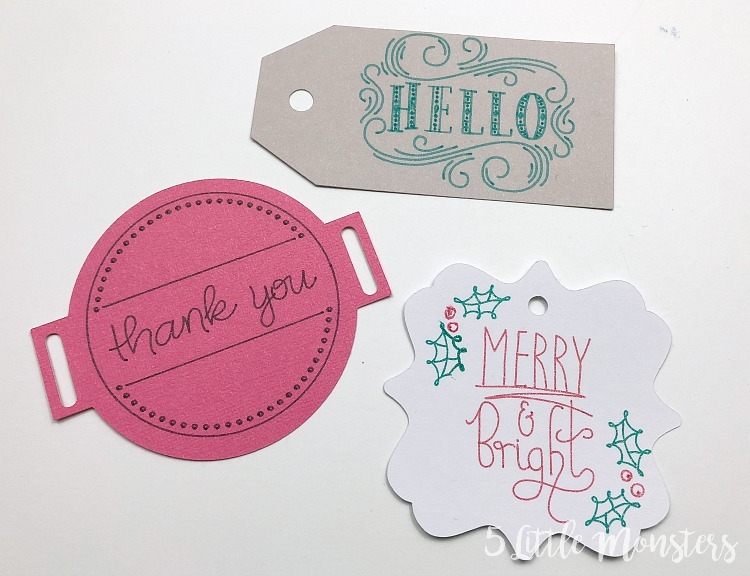 Going with the idea of gifting them I decided to make a little Christmasy tag to put on them. 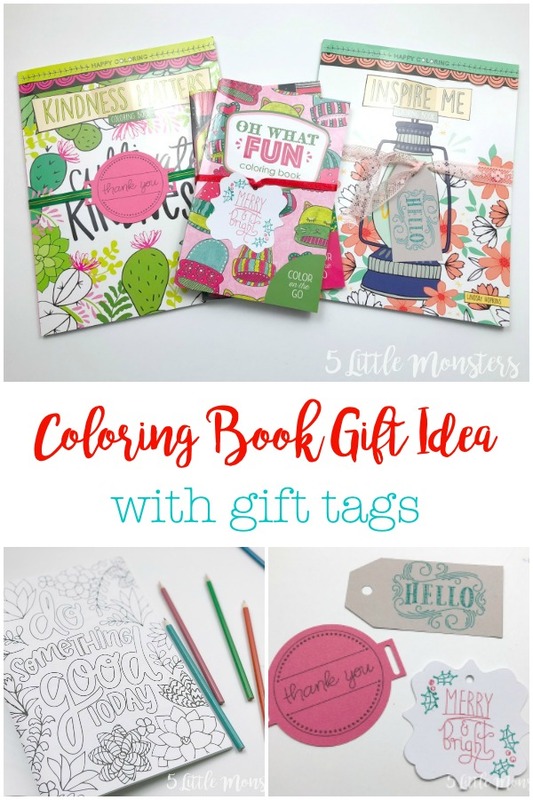 Tie the tag around with a ribbon and you have a quick and easy gift. The other two books I received were not seasonal. 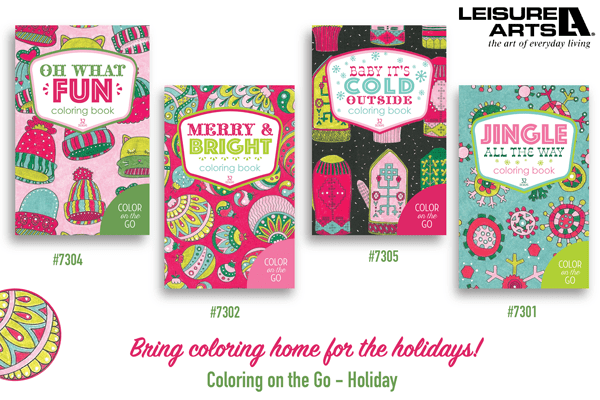 They are part of the Happy Coloring Series. 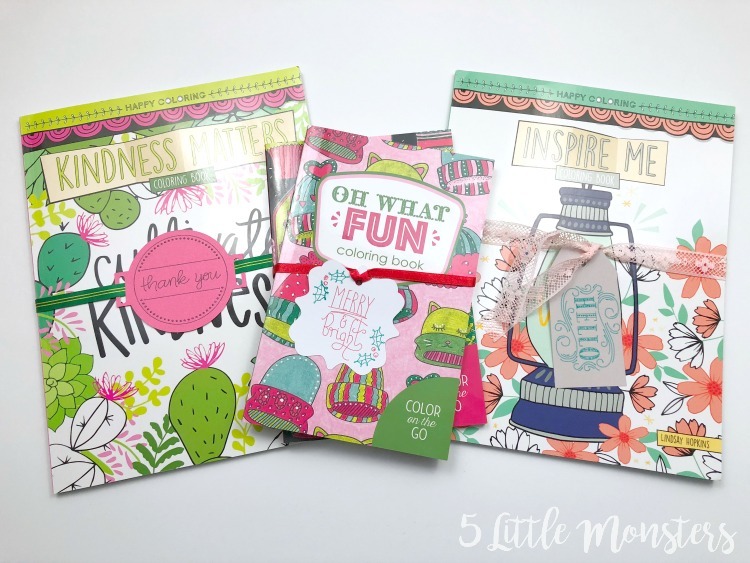 What I liked about these is that they were very positive and uplifting. 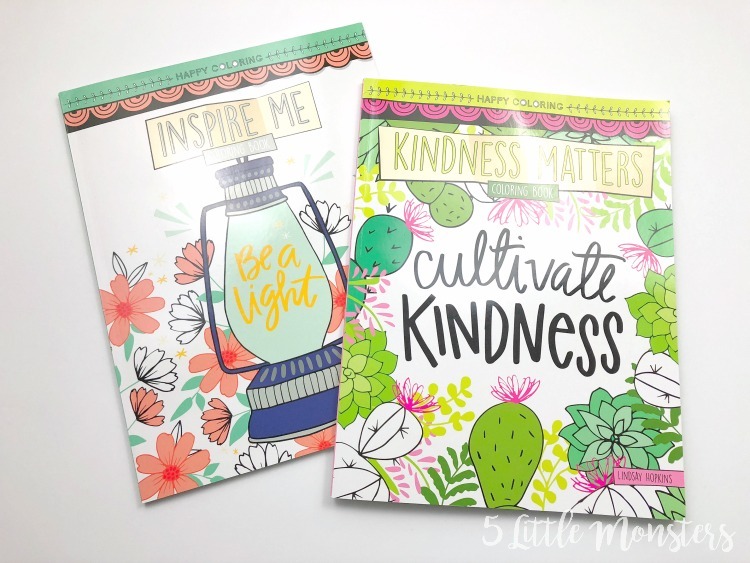 I chose the Kindness Matters book because I really do believe that kindness matters and it is something that is so easily forgotten in the world today. 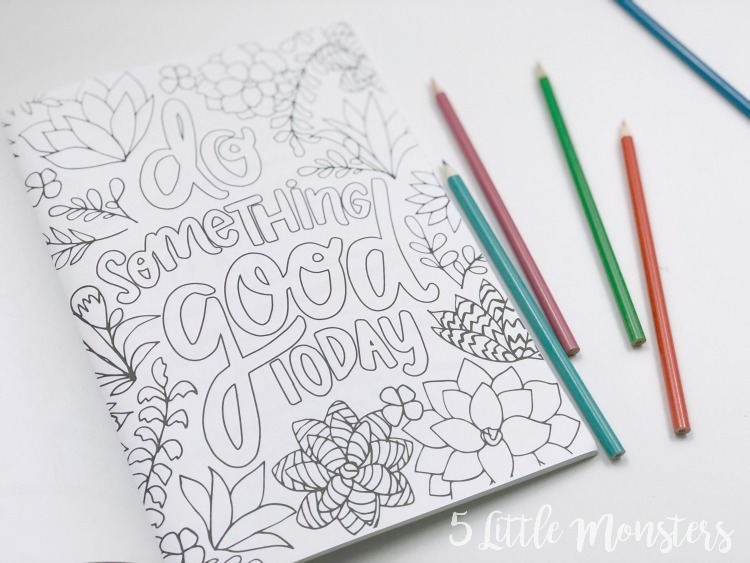 The other is Inspire Me, full of inspirational and pretty coloring pages. 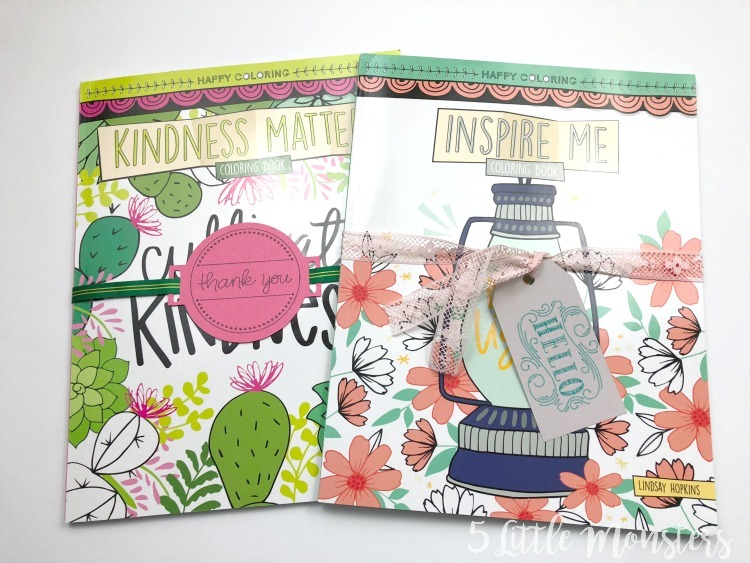 I thought both of these would be good for either someone who has been kind or inspired you in some way, or for someone you feel needs a little lift. Or they would work for Christmas gifts too, since not every Christmas gift has to actually be Christmas themed. For these two I made more generic tags, one that says Thank You, and one that says Hello. All of the tags were cut out on my Cricut, cut out of cardstock and written on with Cricut pens. 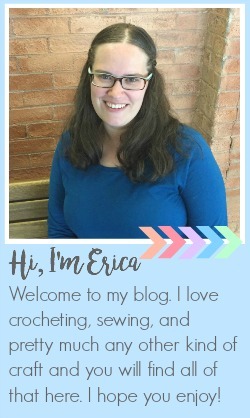 You can find my Design Space Files for the tags I made here: Gift Tags Design Space File. 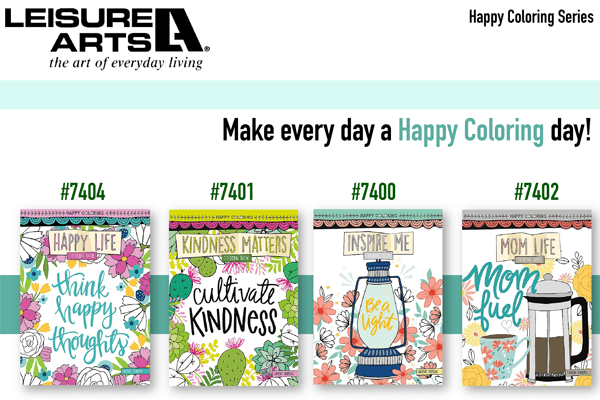 You can find the coloring books by clicking on the pictures below.